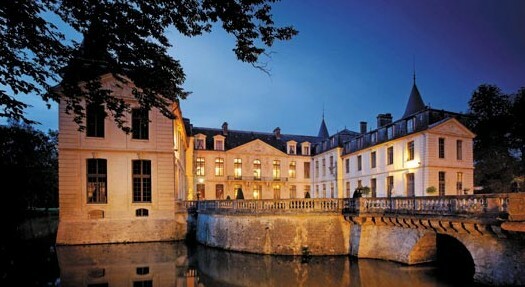 Located in the charming little village of Chissay-en-Touraine, only 7 km from the Château de Chenonceau, the Château de Chissay, a 4-star hotel, is a former royal residence whose 21 elegant and individualized rooms and 11 apartments and suites overlook the 8-hectare park, swimming pool or the château’s handsome Renaissance courtyard. Each of the rooms has its own distinctive cachet, including some with magnificent exposed wooden beams. The hotel has a sensational Gothic dining room with arched vaults where you can enjoy refined and inventive regional cuisine and attentive service. The chef offers 3 reasonably-priced set menus, the possibility of ordering ‘à la carte’ and a wine menu with wines from all over the Loire Valley. It’s a paradise for those looking for a taste of an authentic ‘vie de château’ – for your peace and quiet, there’s access to TV and Wi-Fi but not in the rooms! Hotel owner Philippe Savry, who has 11 other similar establishments in France, is clear about his goal: to revive the soul of noble residences and cultivate the timeless harmony of French aesthetics and elegance. The Château de Chissay is perfectly situated a visit to the Château de Chenonceau, the most visited in France after Versailles. Spanning the river Cher, this magnificent edifice is affectionately called ‘le château des Dames’ because it was loved, managed and protected by women such as Diane de Poitiers and Marie de Medici. Open every day, all year long, you can stroll in the gardens, take in one of the many permanent exhibitions, stop for lunch at the gourmet restaurant ‘l’Orangerie’ or enjoy a break in the château’s tearoom. This entry was posted in Arts / LifeStyle / Travel and tagged Chateau, France, Hotel, Loire Valley. Bookmark the permalink.